When I started out in my media career, I never dreamt that I would one day end up running a hair salon. But after years and years of working with bands, artists, DJ’s, promoters and other creative types, here I am. And you know what? It’s the best job I have ever had. What makes it so great are the people I work with. They are just as wildly talented and creative as any of the peeps I worked with in the media and entertainment biz. Perhaps even more so because I’ve come across a lot of crappy bands and entertainers in my time, but I have yet to find a crappy hair designer at One Salon. 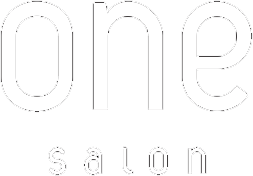 Moreover, the designers at One Salon meld their creativity to the needs of their clients, and that my friends, takes real talent. It’s been 5 years now and almost everyday I am blown away by something they create. Whether it’s cut, color, style or sometimes all three, the designers at One Salon never cease to amaze me. So I thought I would do a blog celebrating their talent and the best way to do that is through pictures. You may have seen some of these pictures before on this site or on our other social media platforms, but I thought I would post them all in one series.